Free Suspense Thriller with a Spellbinding Legal Plot! A legal suspense drama that has it all: mystery, conspiracy and small town politics. 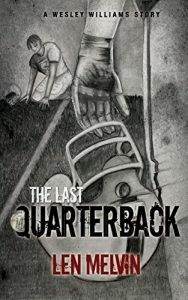 *The Last Quarterback (PDF) by Len Melvin. Price is: Free. Genres are: Legal Thriller of the Day, Sponsor, Suspense Thriller. If it doesn’t open on your browser, Please use Firefox. Please Note: Author has made this book free in return for a honest review. Please leave the Review on Amazon Kindle Page here, after reading it. Bookmark it if possible. Thank you. Get a Free Terrorism Thriller with Adrenaline-Pumping Scenes! *Free Fall (PDF) by John Parrish. Price is: Free. Genres are: Terrorism Thriller of the Day, Sponsor, Political Thriller, Spy Thriller, Suspense. If the link doesn’t open on your browser, Please use Firefox. 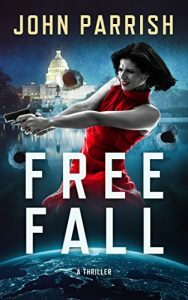 The book is also available in 2 other formats: Free Fall-Mobi and Free Fall – ePub. Please Note: Author has made this book free in return for a honest review. Please leave the Review on Amazon Kindle Page here, after reading it. Bookmark it if possible. Thank you. Previous Previous post: Get a Free Crime Thriller in Return for a Honest Review! Next Next post: Review Saint 41st Edition is Out! Get a Free Thriller in Return for a Honest Review!